Beach mice are small nocturnal rodents who spend daylight hours in burrows they create in sand dunes and are dependent on undisturbed beaches for their survival. Due to habitat loss and mortality from feral animals, Perdido Key beach mice (PKBM) were declared an endangered species in 1983. The beach mouse population at Perdido Key, a small strip of land that straddles the Alabama-Florida border, was nearly wiped out in the mid-1990's when hurricanes Erin and Opal ravaged Perdido Key’s beaches. In September 2004, as Hurricane Ivan was approaching the Florida-Alabama coast, staff from the Florida Wildlife Commission (FWC) removed eight PKBM from the wild, including a pregnant female. These animals became the founders of the current captive population in the event that wild mice disappeared altogether. 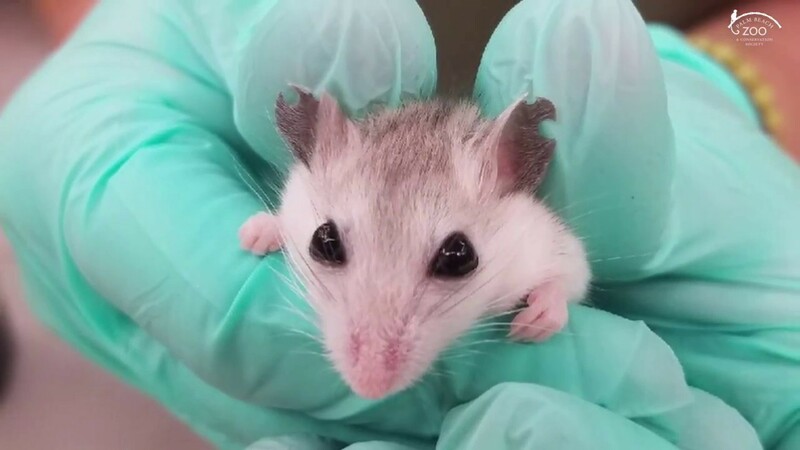 In the past, mice populations have declined following strong hurricanes to as few as a few dozen individuals, but now the population is believed to exceed 1,000 animals, thanks in part to the release of captive mice born from zoos. This is the first reintroduction program of captive PKBM to be implemented, and Palm Beach Zoo staff members are proud to be able to take part in this important work. While individual populations appear to be growing, the Perdido Key beach mouse will probably never make it off the endangered species list because of continued habitat loss, predation by feral animals and because their natural habitat is subject to occasional catastrophic storms. Palm Beach Zoo became involved with these endangered mice in 2007 when a captive zoo breeding program was established in the hopes of one day being able to reintroduce PKBM to their natural habitat. This was a collaboration between Palm Beach Zoo, Brevard Zoo in Melbourne, Santa Fe Teaching Zoo in Gainesville, as well as the FWC, The US Fish and Wildlife Service, the Florida State Parks Service, and the Alabama Fish and Game. In October of 2009, Palm Beach Zoo’s first offspring was confirmed. In the months that followed, seven out of the zoo’s nine breeding pairs successfully reproduced with over 80 offspring reaching maturity. Individually mark each mice using small metal ear tags. Place radio collars on more than half of the mice being released. Once all mice were individually identified, they were transported to the release site, just over the Alabama border on Perdido Key. 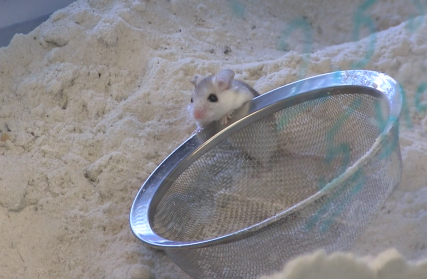 Mice from Brevard Zoo and Palm Beach Zoo were released in even ratios in three separate sites each containing four release pens. Movements were tracked for two weeks after release using radio collars. Regular trapping of the mice continued to provide us with information on how the population was both moving and growing. A number of the females were pregnant. Over a dozen offspring were identified. The mice were also found in areas of Perdido Key where the species has not been seen in over a decade, strong evidence that this new population is thriving. The population tripled and continues to grow as five of the trapped mice were pregnant females, including several second wild generation individuals. The mice spread out evenly over their range and no ill effects were seen from the oil spill in the Gulf. Palm Beach Zoo will continue our captive breeding efforts in conjunction with other Florida AZA institutions and will coordinate with the USFWS and FWC on future releases. This is the first reintroduction program of captive PKBM to be implemented, and Palm Beach Zoo staff members are proud to be able to take part in this important work.